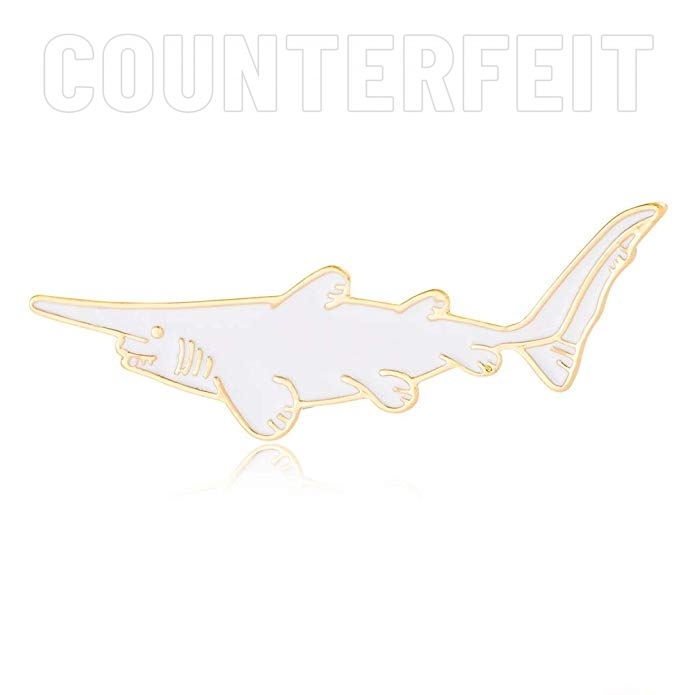 Notes: All genuine Shoal pins have "Shoal", "Oh Plesiosaur", or "Natelle Draws Stuff" stamped on the back. 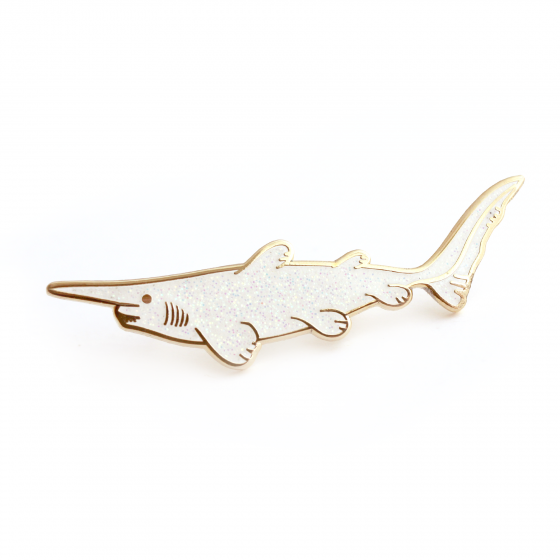 Our pins are always hard enamel. The genuine version of this pin is white glitter.